Knife Edging a crankshaft reduces its mass, and gives the counterweights a thinner profile. The resulting thinner counterweight profile will encounter less resistance as it rotates through oil in the oil pan reducing parasitic power loss. The combination of weight loss and reduced resistance on the crankshaft results in an engine that will rev quicker and higher, and increase power througout the entire power curve. 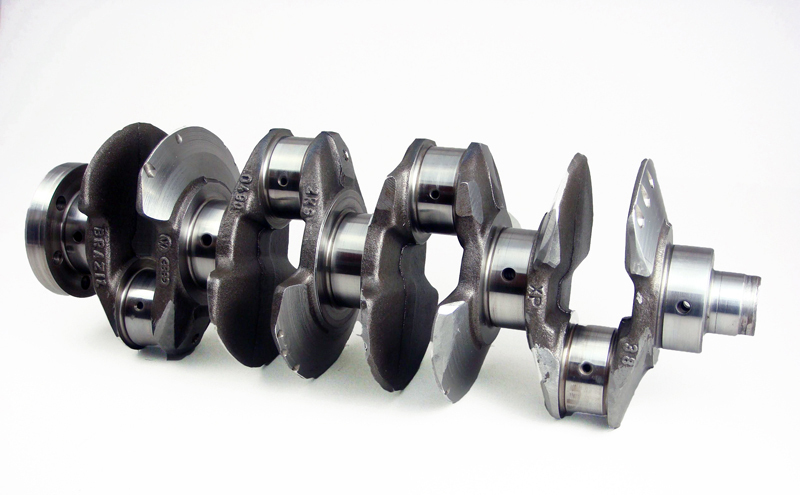 This is based on you sending in your crankshaft, we will machine it and then return it to you. From the time of us receiving your crankshaft, it will typically be returned to you within 3-4 weeks. If you need the bearing journals ground, we can also do that for an additional fee. The fee can only be determined once we receive your crankshaft and determine, how bad they currently are. Place this item in your shopping cart, and purchase it. You will receive an order confirmation for your purchase with an order number. When sending in your crankshaft please write your order number on the outside of the box so that we can identify who it belongs to. When we receive it, we will notify you that we have received it and then also notify you when we ship it back to you.